A crucial ‘on switch’ that boosts the body’s defences against infections has been successfully identified in new scientific research. The breakthrough made by researchers at the University of Aberdeen and the University of Dundee could lead to the development of new drugs to enhance the body’s immune responses to attack, which could benefit people suffering from cancer and other serious conditions. Their findings have been published in the Journal of Molecular and Cell Biology. “We have shown that the cells which turn on our immune responses to defend against, for example, infectious diseases, require a particular protein to activate them in order to function properly,” explains Dr Martin-Granados formerly of the University of Aberdeen and now at Cambridge. The paper describes the fine tuning of cell signals which orchestrate our immune defences, for instance when we are vaccinated against infections. Dr Alan Prescott from the University of Dundee adds: “The key switch molecule PTP1B allows the uninterrupted production of something called podosomes (which behave like feet for the cell). The cells that turn on our immune systems (dendritic cells) use these “mini-feet” to move though tissue and “home in” on a type of white blood cell called a T cell, which are essential for clearing viruses from our system. These are located at the “glands”, such as those in our neck, which become enlarged when patients get throat infections, for example. April 16, 2019 - The "switch" that can make current Salmonella outbreaks even worse Food Safety NewsThere are three current multistate outbreaks of Salmonella in the United States. Two--infections linked to Butterball Brand Ground Turkey and Precut. April 18, 2019 - Waning immunity Science MagazineVaccine protection can fade in months or last a lifetime.Understanding why could lead to more durable immune responses. Figure. Open in new tab. 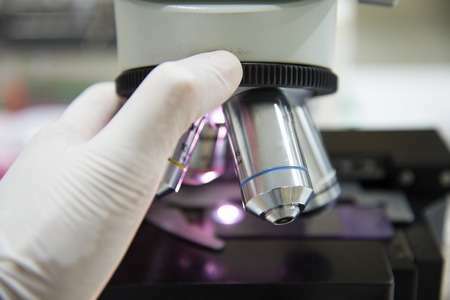 April 16, 2019 - Measles 2019: What to know about checking your vaccine records, immunity Poughkeepsie JournalHealth officials are urging people to check measles vaccination records, immunity during the historic outbreak underway in New York and other states.